Most people agree that Jackson’s film adaptation of The Lord of the Rings was both an artistic and commercial success. For many fans of the book, it was as good an adaptation as they had any reasonable right to expect (although with some questionable choices); for those who did not know the books or did not remember them well, it served as an introduction to Tolkien’s work. For my part, although there were numerous scenes and bits of dialogue that were distracting — whether because they strayed unnecessarily far from Tolkien’s text (Denethor), or because it simply didn’t ring true to the story at hand (the very over-the-top Hollywood treatment of the Army of the Dead) — there was much more that did feel like reading The Lord of the Rings for the first time. This is very important to me in watching a cinematic book adaptation, even if it is not fully “faithful”, whether the work in question is The Lord of the Rings or Watership Down. In some undefinable way, the film should remind me of the experience of reading the book so that I feel that I am reading a translation of a sort, rather than a new work “inspired” by the original. When the first teaser trailer for Jackson’s The Hobbit appeared, I had a mixed reaction. While it was nice to see Rivendell and Gandalf again, and the casting of Martin Freeman is inspired — not even Jackson’s harshest critics could find much wrong with his casting in The Lord of the Rings — the only time it invoked the feeling of reading The Hobbit was the portrayal of the Dwarves singing at that unexpected party. The rest of the trailer felt more to me like “More The Lord of the Rings Footage” (in 3D, as the incongruous solid block letters proudly announced). It seemed that Jackson wanted to make The Hobbit over into the image of The Lord of the Rings, which is a troubling idea. 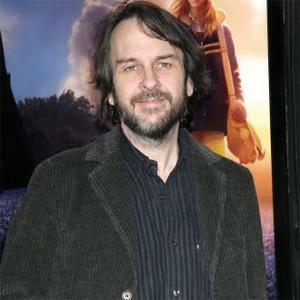 Since then, we have learned a fair bit of what Jackson has been adding to the story of The Hobbit, and with the decision to go to a three-film adaptation, one might infer with some justification that Jackson (who, it will be remembered, did not originally intend to direct these films) does not really like The Hobbit very much as a book, and considers it to be a kind of simple-minded early attempt by Tolkien before settling down to the more weighty and serious matters of The Lord of the Rings. A book suitable only for children, and not sufficiently epic in scope for a feature film. Here already, Jackson is glossing over the context in which The Hobbit was written: as most Tolkien fans know, the “mythology” had been developed for more than 16 years before the writing of The Hobbit. Elrond, the Necromancer Sauron (or Thû), the tale of Gondolin, the ancient quarrel of the Dwarves and Thingol … these were all established parts of Tolkien’s mythology; as he wrote (Letters, #19, 1937), The Hobbit began as, “a comic tale among conventional and inconsistent Grimm’s fairy-tale dwarves, and got drawn into the edge of [the mythology] – so that even Sauron the terrible peeped over the edge.” The mythology impinged itself on The Hobbit as it was written, not as a new idea resulting from the writing of The Lord of the Rings. But of course, Jackson has no rights to The Silmarillion; perhaps this is why he chooses to omit this information. But more likely, it would lend less credence to his assumption that The Hobbit is just a sketchy first attempt at The Lord of the Rings. Well, no, that is not what I would call them. The Appendices for The Lord of the Rings were certainly not notes or jottings to make The Hobbit speak to the later story more; they were an intrinsic part of the writing of The Lord of the Rings. 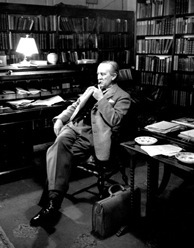 Tolkien did, famously, rewrite the Riddles in the Dark chapter (as he was completing The Lord of the Rings) to bring that critical matter of plot in line with the narrative – the newly established facts, if you will – of the later book, but as he wrote to Stanley Unwin in 1947 (Letters, #109), “Talking about revising The Hobbit. Any alteration of any radical kind is of course impossible, and unnecessary.” Where, then, does Jackson get the idea that he was planning a rewrite? Even though, as Tolkien reports, readers wanted to know more about Gandalf, the Necromancer, and so on, it was not his intent to alter the narrative of The Hobbit to provide those answers; that was done quite well by the later book. Indeed, that is one of the reasons it was begun! Since Gandalf does tell us what he was doing, though without unnecessary details, this is an extremely odd thing to say. The storytelling purpose of Gandalf’s absence, of course, is explained by Tolkien in a letter (Letters, #257, 1964): “[The Necromancer’s function] … was hardly more than to provide a reason for Gandalf going away and laving Bilbo and the Dwarves to fend for themselves, which was necessary for the tale.” Tolkien had a good sense of what was necessary in his story. I am surprised that Tolkien fans, no matter how much they may love Jackson’s films so far, have been quiet and let him get away with this revisionist (to put it politely) history. If such a thing had been written by, say, George Lucas, everyone would be loudly calling him out for promulgating such claptrap; but — so far — Jackson has not squandered the fans’ goodwill as Lucas did. Again, the Appendices are certainly by no stretch of the imagination a collection of notes for a revised version of The Hobbit: they were published with the first edition of The Return of the King, not thrown in as an afterthought “in one of the later editions.” The history of the Appendices, including early drafts and some material that was evidently omitted in haste to get the finished volume to the publisher in time, can be found in Christopher Tolkien’s History of Middle-earth series. And as the 1937 letter quoted earlier demonstrates, Tolkien certainly knew that the Necromancer was indeed Sauron the terrible when he wrote The Hobbit. Tolkien did, around 1960, undertake to revise The Hobbit substantially to bring the narrative more in line with The Lord of the Rings. From the manuscripts of the chapters he completed (which can be found in John D. Rateliff’s The Story of The Hobbit (Houghton Mifflin Harcourt, 2007)), he altered the narrative style (omitting the first- and second-person asides) and tried, without success, to get the geography, times, and distances (including moon phases) to be consistent with the maps and text that had been published. He did not, notably, significantly alter the names nor dialogue of the Trolls, as an example of the sort of revision that he did not feel was productive; nor is there any basis in this material for inferring that he would have digressed into extensive details of the off-stage action involving the Necromancer. In Jackson’s The Lord of the Rings, even when the adaptation diverged greatly from the text (lack of Bombadil, Arwen filling in for Glorfindel), it was not hard to see why Jackson made these decisions from a storytelling standpoint (story pacing in the case of Bombadil, and introducing Aragorn’s love story more visibly at an early stage). In the case of The Hobbit, the book as it stands presents far fewer difficulties for a screenwriter. It has a straightforward story-line, in an almost perfectly standard Hollywood three-act pattern rising to a climactic battle and a swift denouement. 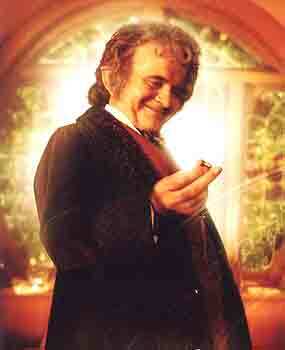 And it is first and foremost Bilbo’s story. The title of the book is not The Quest for Erebor; it is The Hobbit, and almost every page of the story is from Bilbo’s point of view. In fact, bringing in the whole White Council B-plot creates story problems that must be solved. If it is simply a side matter to explain Gandalf’s absence, then it serves no purpose to the main story (rather like the unnecessary excursion to Osgiliath in Jackson’s The Two Towers). On the other hand, if it does affect the main story, then the result must be major changes to the last few chapters of the book. And so we have speculation about whether Radagast will be at the Battle of Five Armies, the sort of question which makes me cringe. And for what? To create unneeded connections between this film and The Lord of the Rings. 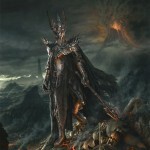 Jackson has decided to make The Hobbit into a “prequel”, and this itself creates problems. Prequels can be well done, but too often they fall into the trap of going through a lot of narrative complexity just to retroactively set up the story. Lewis’s The Magician’s Nephew, a prequel written after The Lion, the Witch, and the Wardrobe in his Narnia series, isn’t a bad story, but goes through some absurd machinations to explain the mysterious appearance of a lamp-post in the middle of a snowy woodland in the earlier volume. If this book is read first, it spoils the earlier volume: Narnia is no longer a mysterious land to be discovered, with the magical lamp-post improbably burning in the wood; it is a familiar land, and one might well wonder why so much effort is being spent to re-introduce it, and Aslan. In the case of The Hobbit, the book is not a prequel, and can (and should) be read first as an introduction to Tolkien’s world. But by being framed as a prequel, the film can never serve as an introduction to Middle-earth to viewers five or twenty-five years from now, for it will be filled with unnecessary and confusing characters (“My dear Frodo …”) and events that depend entirely upon the earlier films for comprehension. Nor will it encourage people to read the book as The Lord of the Rings did in its time, for prospective readers will quickly recognize the difference in tone and subject matter between the film and book, and will likely (as Jackson seemingly does) consider the book to be far inferior and not worth their time. Nor can I easily imagine what a child who has just read The Hobbit for the first time, and decides to watch this film before reading The Lord of the Rings will make of it. Nothing good, I think. Let me be clear here: I am not arguing for a pure-and-faithful verbatim rendering of The Hobbit. I do not expect nor want the film to attempt to represent the chatty narration of the book, nor to give us childlike Elves in Rivendell who sing “fa-la-li-lolly.” (although having them sing Sindarin that Bilbo, ignorant of Elvish, thinks sounds like that would be marvelous). But there is likewise no compelling reason to add Frodo, Galadriel, Radagast, Saruman, and (perhaps most alarmingly from a certain standpoint) a speaking role for Sauron, nor a fan-fiction account of the Nazgûl and the battle of Dol Guldur, no matter how well-executed. The generally different tone and style of The Hobbit is due, in point of genesis, to it being taken by me as a matter from the great cycle susceptible of treatment as a “fairy-story”, for children. Some of the details of tone and treatment are, I now think, even on that basis, mistaken. But I should not wish to change much. For in effect this is a study of simple ordinary man, neither artistic nor noble and heroic (but not without the undeveloped seeds of these things) against a high setting — and in fact (as a critic has perceived) the tone and style change with the Hobbit’s development, passing from fairy-tale to the noble and high and relapsing with the return. Ostadan is a long time contributor to TheOneRing.net and an original member of the Green Books team. He can be reached via email at ostadan@theonering.net.